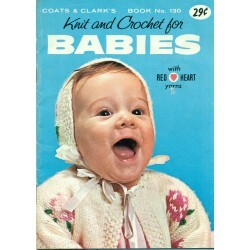 Now you can download vintage and antique knitting, crochet, needlework and craft pattern books and magazines in PDF. Get them instantly with No shipping charges! Knit a warm sweater tonight. 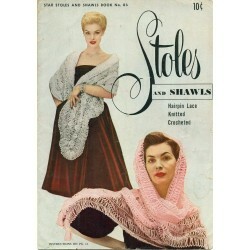 Crochet a lacy shrug or doily. Tat a nice lace edging. Create wonder craft projects. No more waiting with these easy to receive and downloadable patterns! Pattern PDF Download There are 7 products. 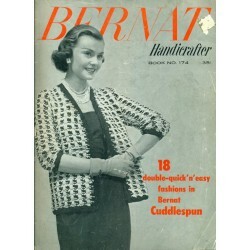 Download a copy of Bernat Knit Pattern Book No. 174. 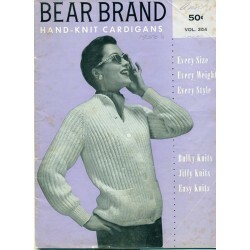 Includes 18 different women's sweater fashions from the 1950's. Many different styles like bolero, shrug, stole, cardigan and more. No shipping fees. 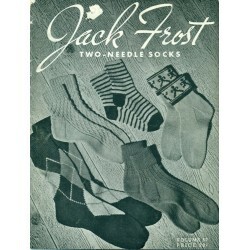 You can start knitting something warm tonight with this vintage knitting pattern book from Bernat! 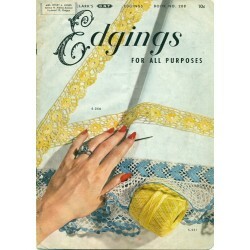 Edgings pattern book with crochet, knit, hairpin lace and tatting patterns. No. 288, Coats and Clarks. This is a PDF download of the original book. Lace, rick-rack, lingerie, baby and church styles of edgings to decorate pillowcases, towels and clothing. 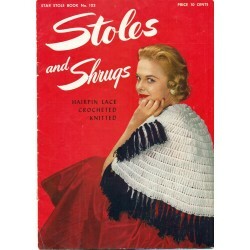 There are 52 patterns in this 1950s, vintage book from Coats & Clark and the Spool Cotton Company.